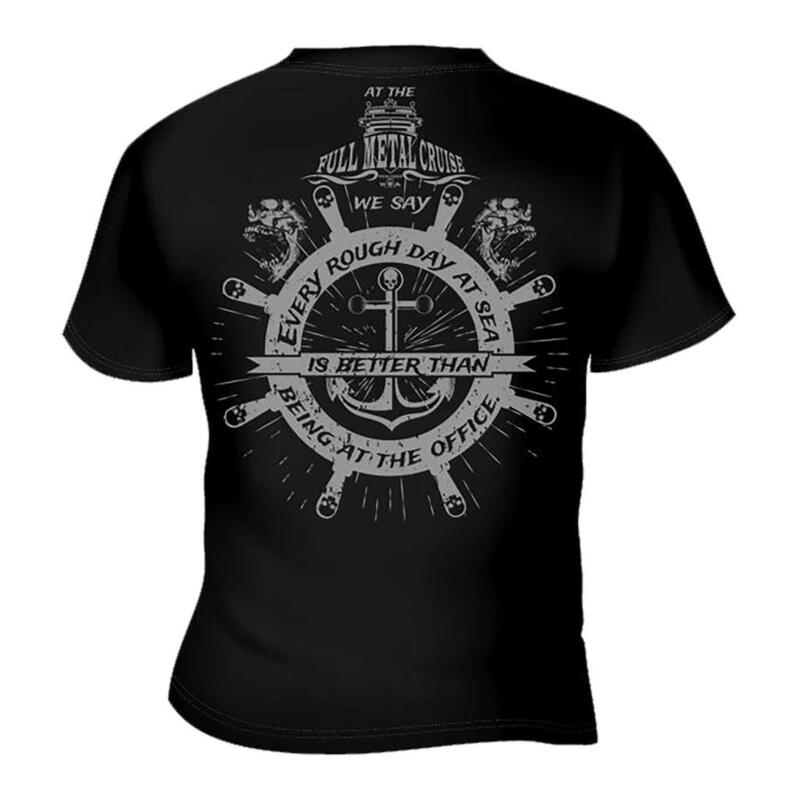 This event t-shirt has been designed with a classic FMC logo in grey on black fabric upfront and a rudder with an anchor in the middle and the slogan "EVERY ROUGH DAY AT SEA IS BETTER THAN BEING IN THE OFFICE" written upon on the back. 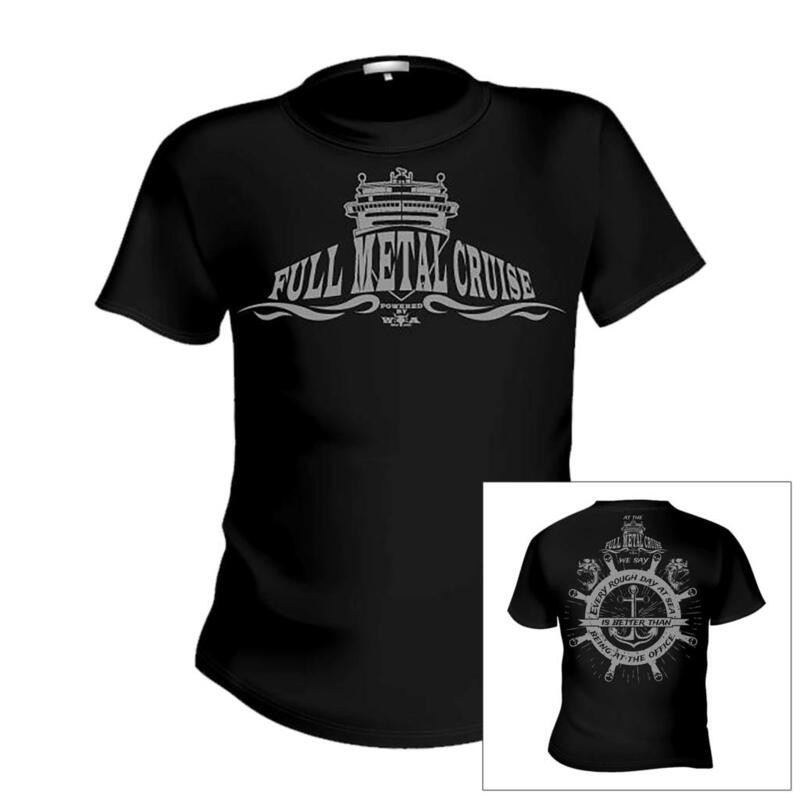 Now we are prepared. 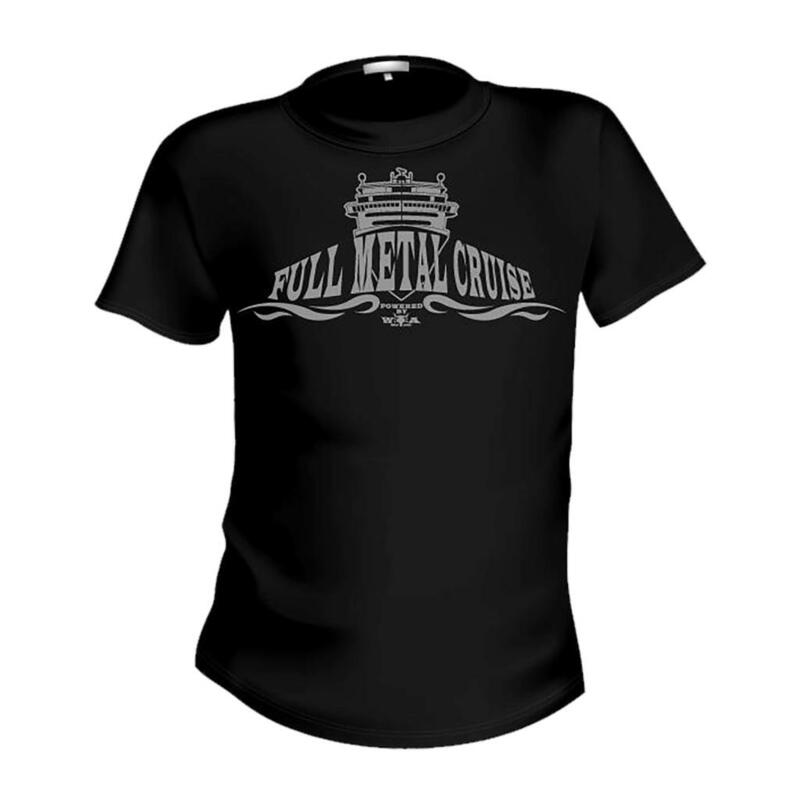 For each FULL METAL CRUISADER the perfect piece of clothing.